If you are practicing inbound marketing, you already know the benefits of advanced content: attracting more visitors, converting more leads and demonstrating your expertise in the industry. But creating a case study isn’t just throwing together some information about one of your products and putting it on your website. There is a lot of time, planning, research, marketing and development that goes into case studies, especially if you want it to be effective. 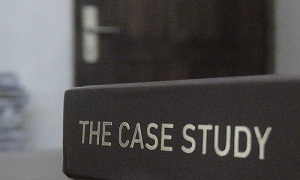 For the best results, follow this two-part process for creating successful case studies. Before you even begin, establish why your customers would want to read your advanced content. Ask yourself, “Why would someone care enough to invest their time in this piece?” Remember the answer and stay focused on that throughout the creative process. Get insight from the person or people who actually executed the campaign or project within the company. Don’t just hand a bunch of printouts to a copywriter and say “go.” If the content is written entirely from second-hand information, the reader will be able to tell. The writer should conduct face-to-face interviews and spend time in the field they are writing about. What are the steps for putting this process or solution into effect? What did you wish you knew before starting the process? What did you learn from this course of activity? Readers expect a takeaway, so give them one (or several). Weave in tips for implementing the solution themselves in a clear and concise manner. A sidebar or bulleted list will add visual interest while providing an easy callout for tips. Consider writing about a failure you've experienced. Everyone learns from their mistakes, so why not include this in your case study? Just be sure to talk about how your failure led you to change your strategy into something wildly successful. Don’t forget to add a visual interest, such as a photo or video. Finally, write in plain language; edit out industry jargon. Remember, a case study is about a challenge your client was able to overcome (with your help, of course), not a brochure about your company. In order for potential customers to find your content valuable and helpful, it should tell a good story, not be a sales pitch. It is necessary to create a strategy for publishing and distributing your case study; without one, your content will not deliver the results you were hoping for. First, establish a publication date and stick to it. Create a landing page for your case study. Make it attractive and engaging so visitors will convert to leads. Ask experts in the field to review your content. Send them an advanced copy and invite them to write a few sentences or paragraphs of feedback. Include short reviews or dynamite quotes on your landing page. Guest blogs can be gold. Offer to write posts for other relevant industry blogs and include a backlink to your landing page. Also, encourage other industry experts to write guest posts about the topic at hand for your blog. Don't forget about social media! Distribute the link to your case study landing page via Twitter, Facebook, Google+ and maybe even Pinterest. If you have provided a solid piece of content, others won't hesitate to share it. Marketing your case study is just as important as creating it. We’ve said it before: Inbound Marketing is not a static strategy. Nurture your content and soon you will be nurturing leads, too. What tips do you have for creating case studies? What has been your favorite case study to strategize? After developing the Kuno Creative content marketing department and growing it by 500%, Brianne has expanded her role to help grow the inbound marketing agency in size, revenue and resources. 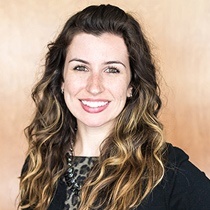 She now focuses on sales and marketing alignment; employee recruiting, hiring and development; and communication strategies, while still dedicating time to client strategy and Kuno’s marketing efforts.